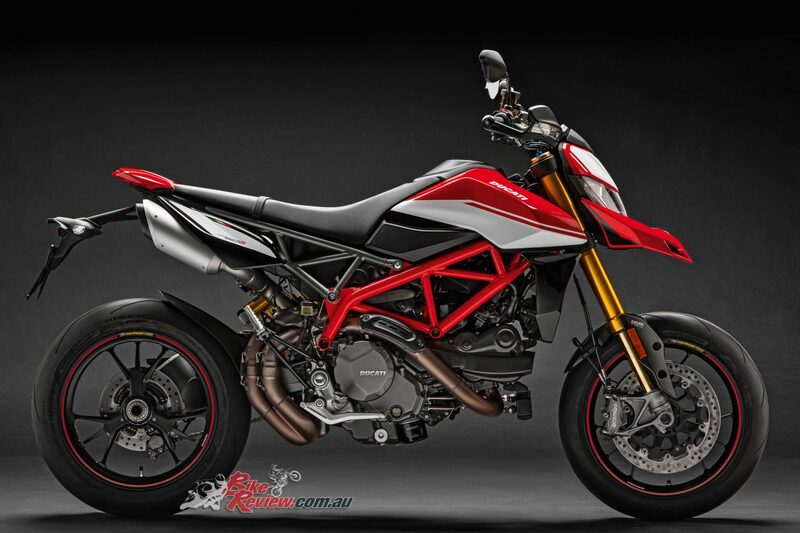 Racier yet more rider-friendly. 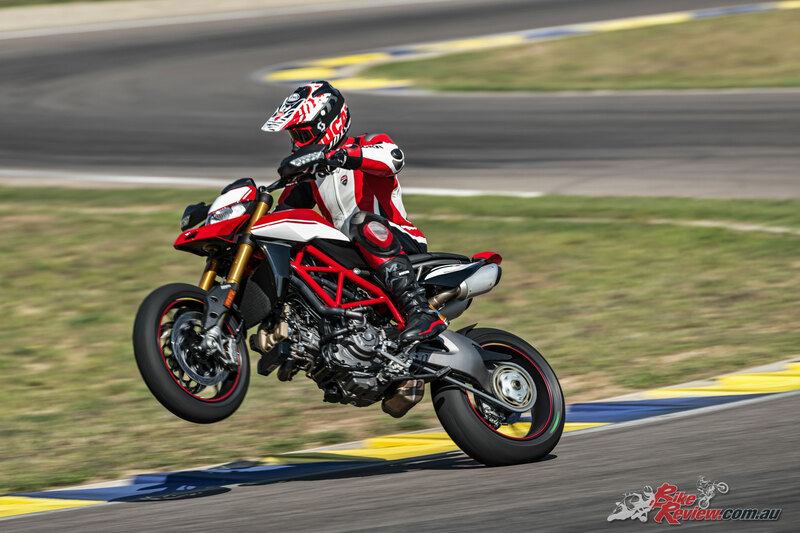 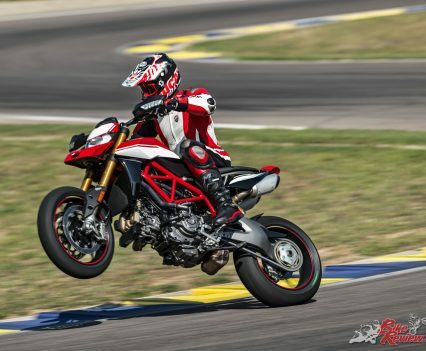 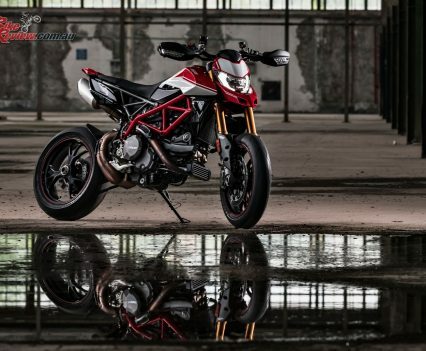 The Hypermotard has been given a full-blown makeover, with the new look taking cues from the supermotard race world, and offering completely overhauled ergonomics on an advanced chassis set-up and electronics package. 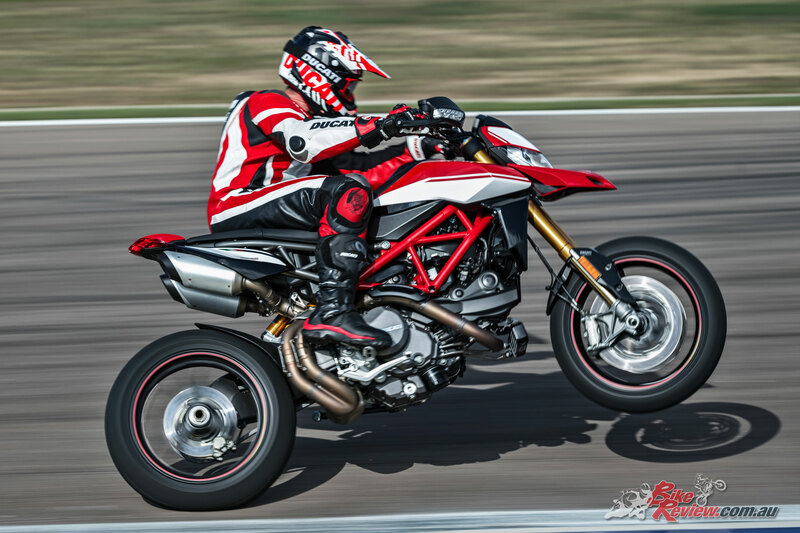 A revised riding position maximises control and the new Hypermotard 950 boasts wider handlebars, slimmer sides and a new seat, the latter to smooth movement during riding and ensuring feet can be placed firmly on the ground thanks to an inner leg curve measurement that is now 53mm shorter. 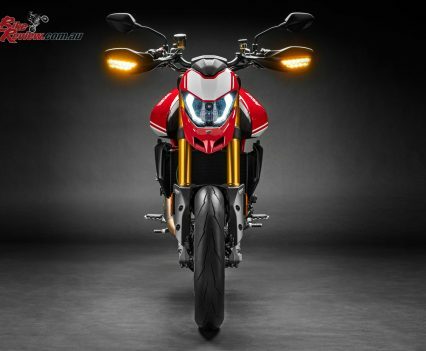 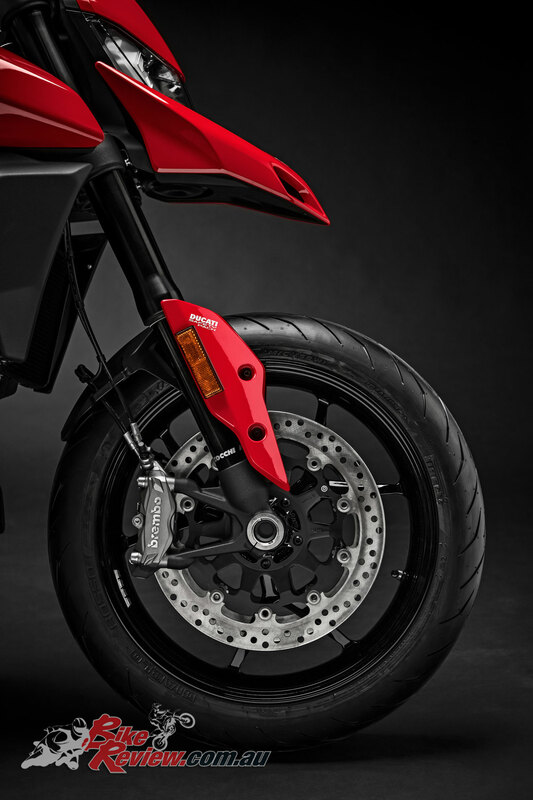 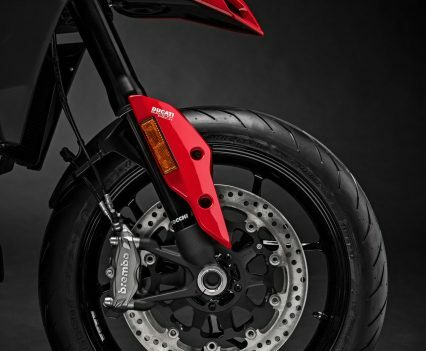 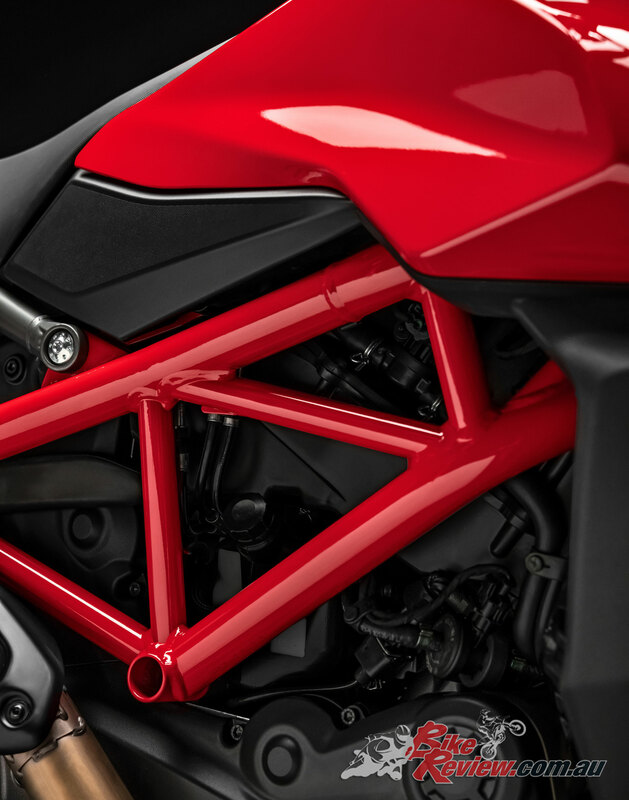 The design of the Hypermotard 950 pivots around the twin under-seat tailpipes and the minimalist superstructure, which ensures the mechanics – including the light rear Trellis sub-frame – are kept in clear view. 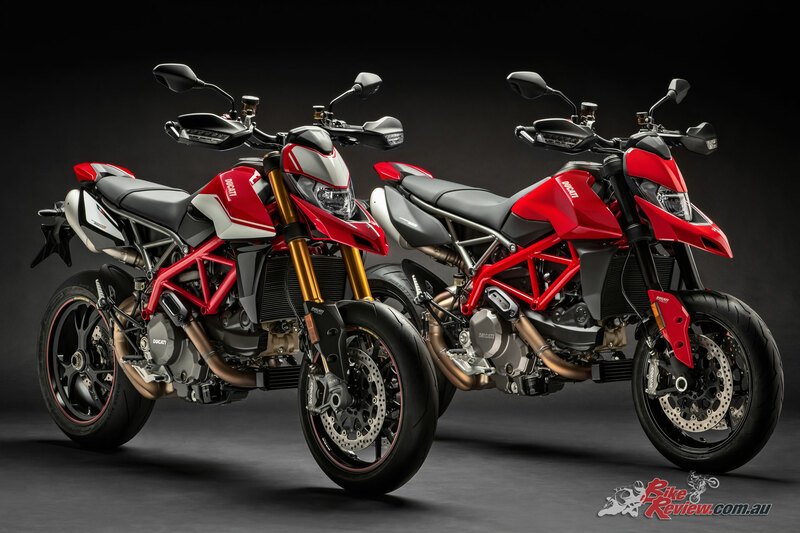 As well as being more visually compact, the Hypermotard 950 is also 4kg lighter (the engine alone accounts for a 1.5 kg saving) compared to the previous model. 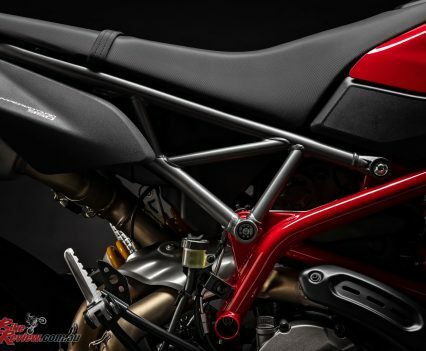 This has been achieved thanks to a new frame made up of tubes of varying diameter, new rims, brake discs with aluminium flanges, lightweight Marzocchi forks with aluminium fork bodies/tubes and meticulous design of every detail. 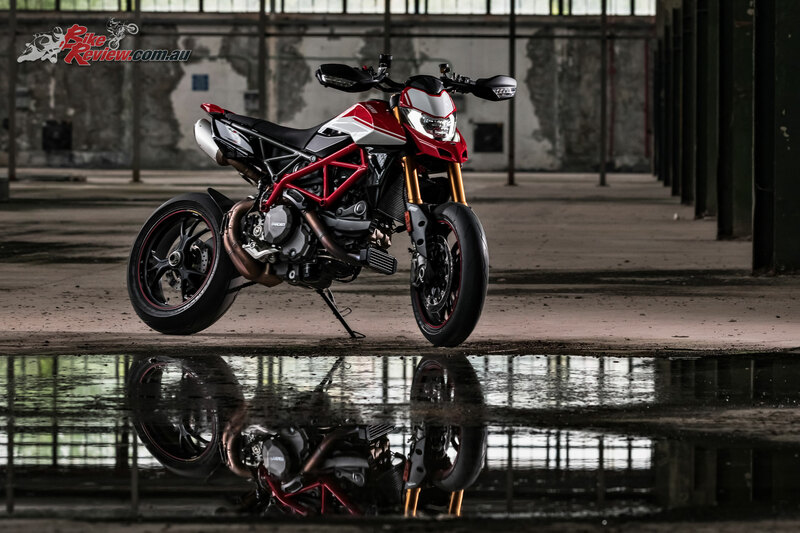 At the heart of the new Hypermotard 950 lies a renewed 937cc Testastretta 11° twin with more muscle, greater pulling power and new electronics to ensure smoother control. 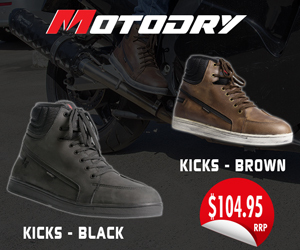 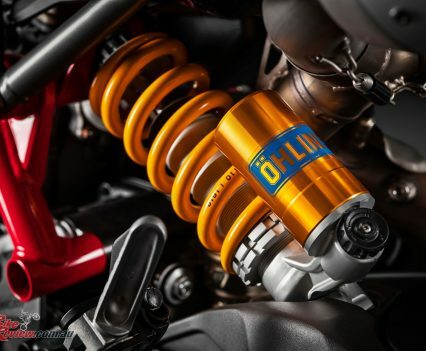 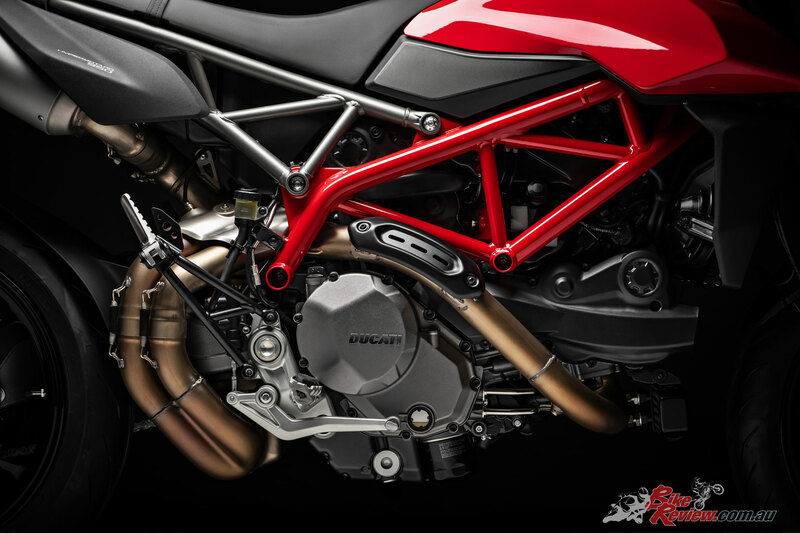 With 114 hp at 9,000 rpm and a torque of 9.8 kgm – of which 80% is already available at 3,000 rpm. 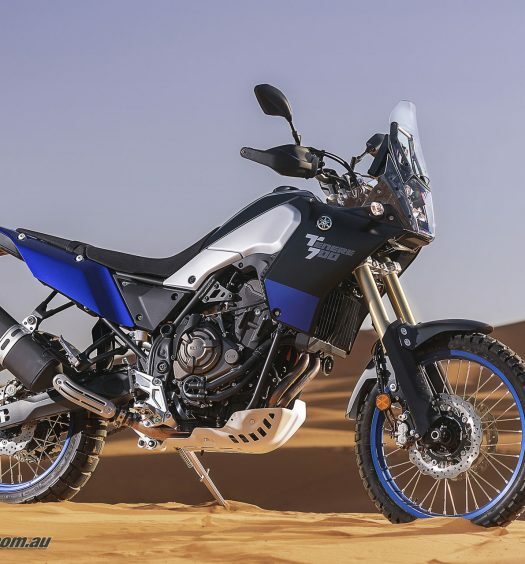 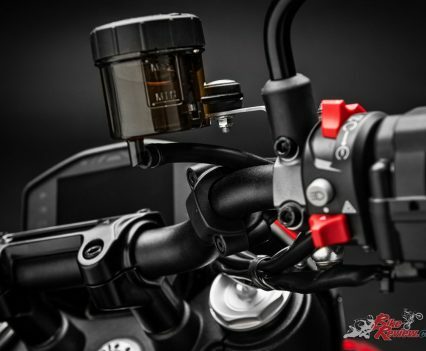 Performance is kept under control by the modern electronics which uses a Bosch six-axis Inertial Measurement Unit (6D IMU) to detect the bike’s roll, yaw and pitch angles instantly. 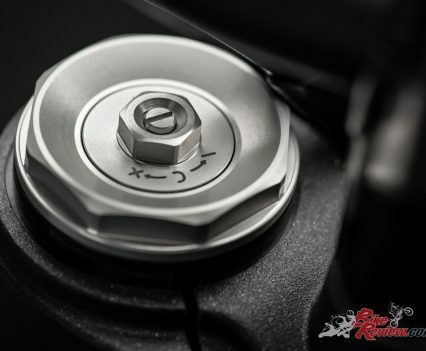 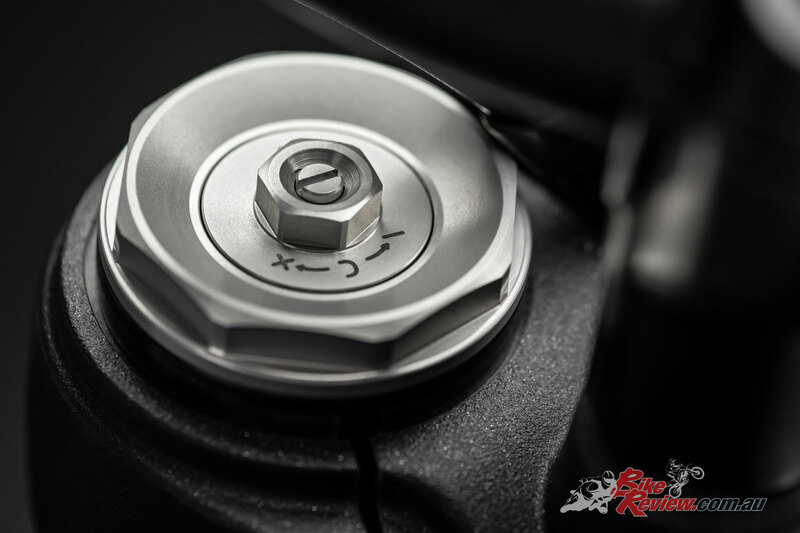 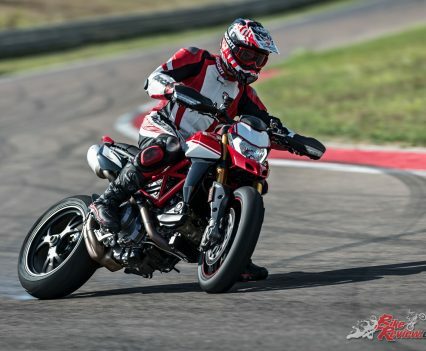 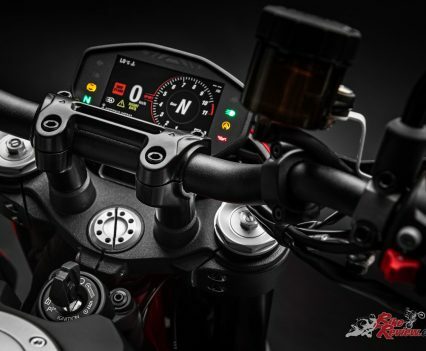 The Hypermotard 950 electronics package includes Bosch Cornering ABS with the Slide by Brake function (with setting 1), Ducati Traction Control EVO (DTC EVO), Ducati Wheelie Control (DWC) EVO and Ducati Quick Shift (DQS) Up and Down EVO (as standard on the 950 SP version and available as an accessory on the 950). 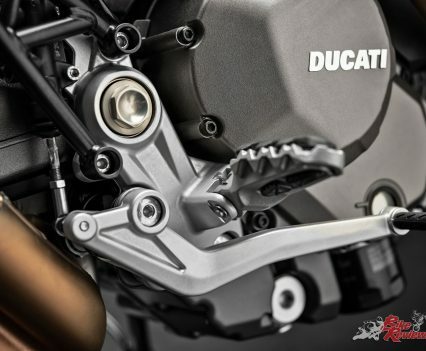 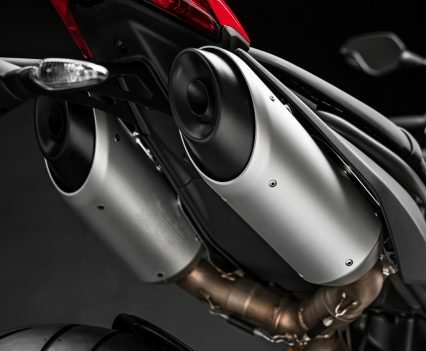 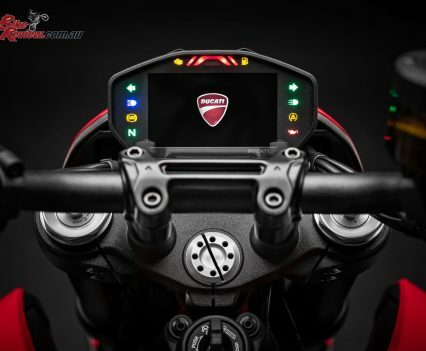 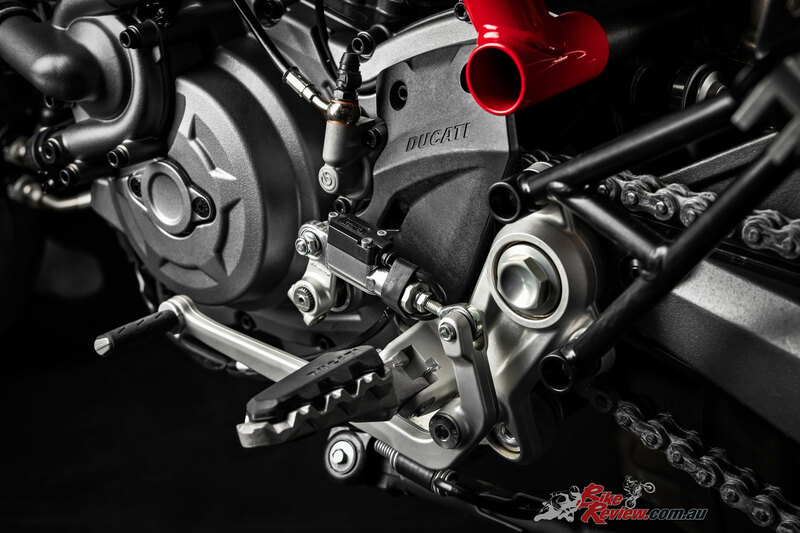 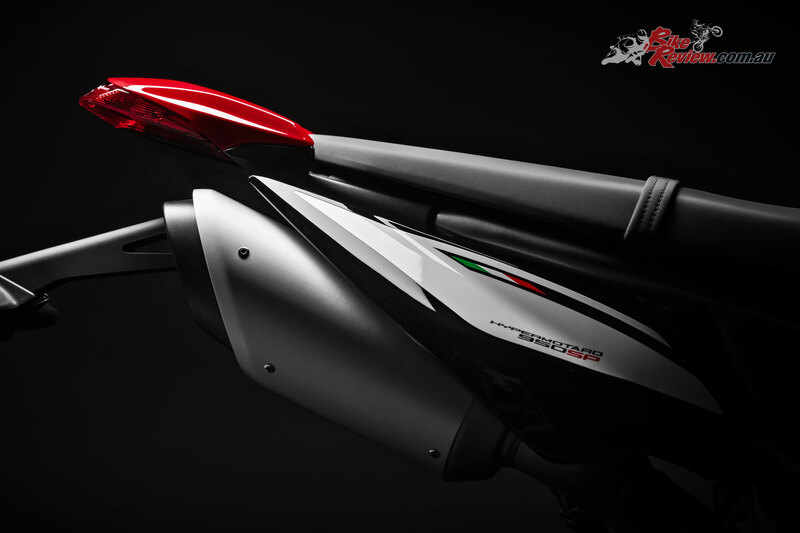 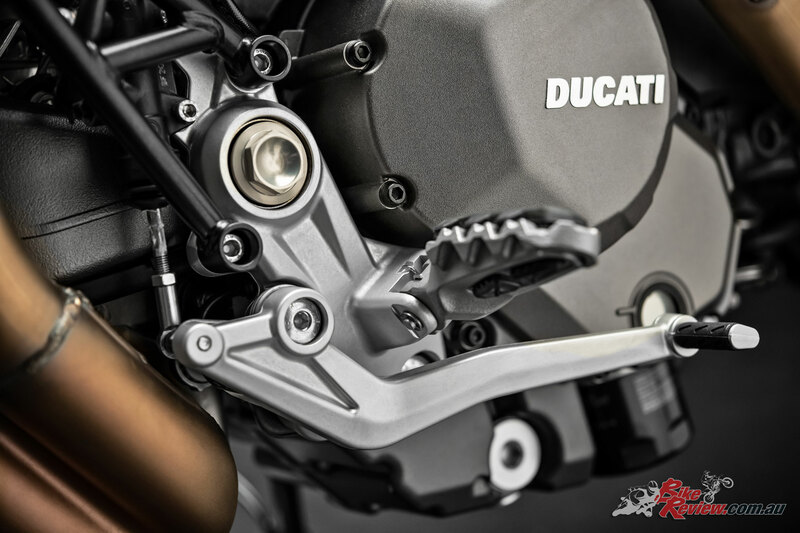 The tapered aluminium handlebars mount radial pumps with separate front brake and clutch fluid reservoirs (a hydraulic clutch replaces the previous cable-operated one); the design and interface of the colour TFT display take their cue from the panel on the Panigale V4. 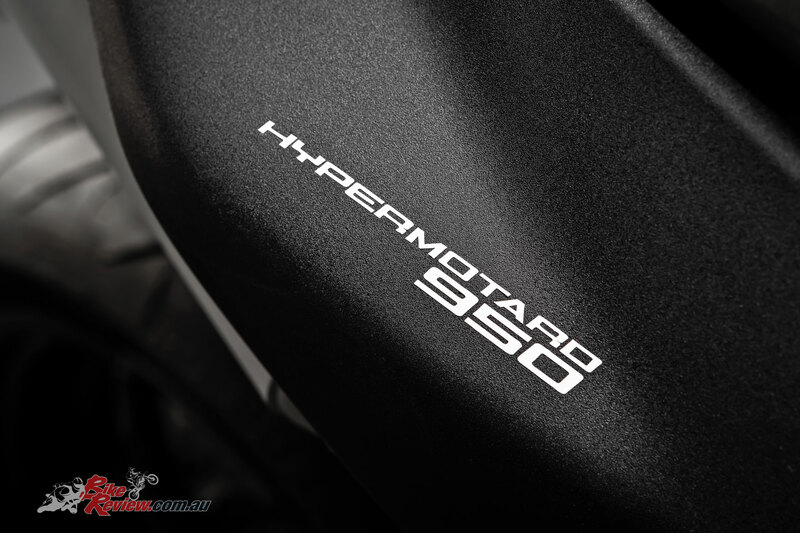 For those who want a bike with even higher performance there’s the Hypermotard 950 SP. 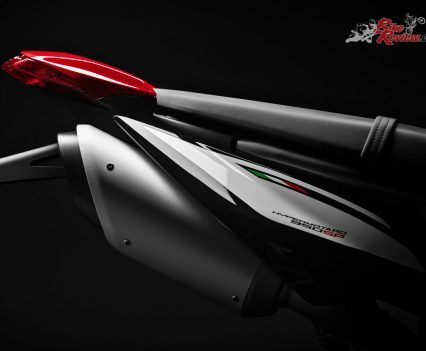 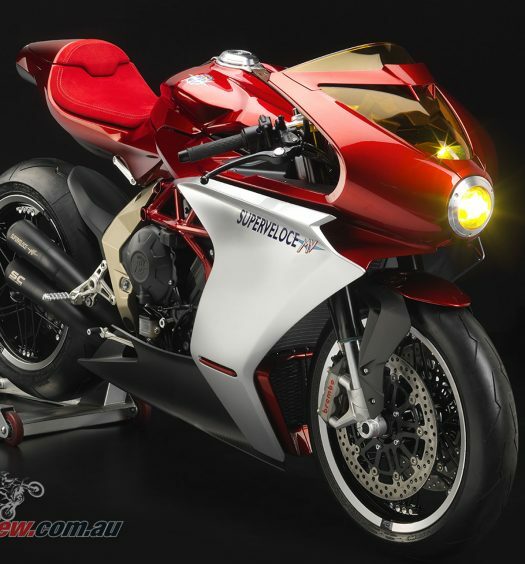 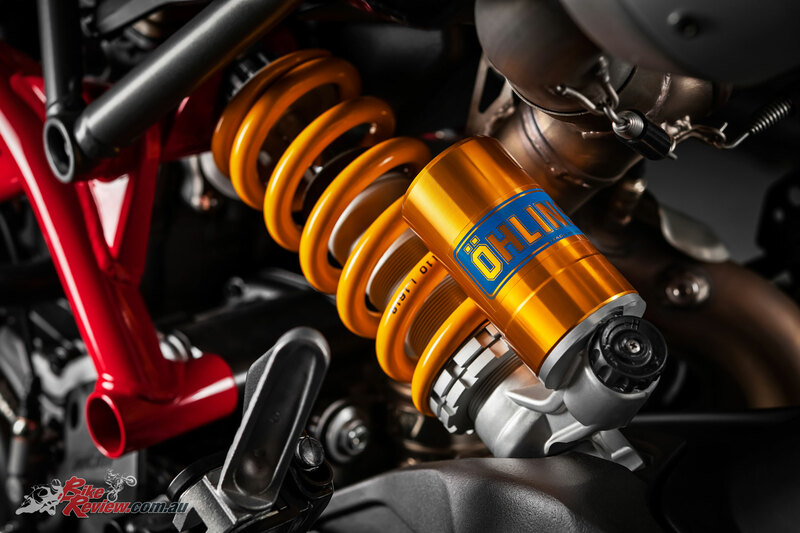 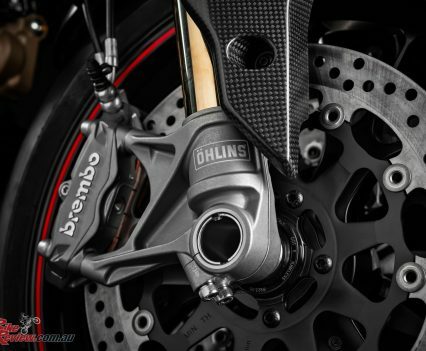 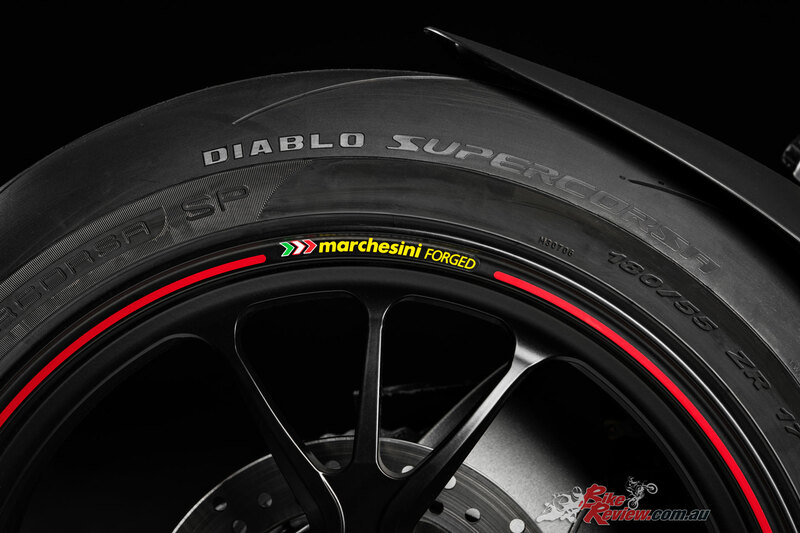 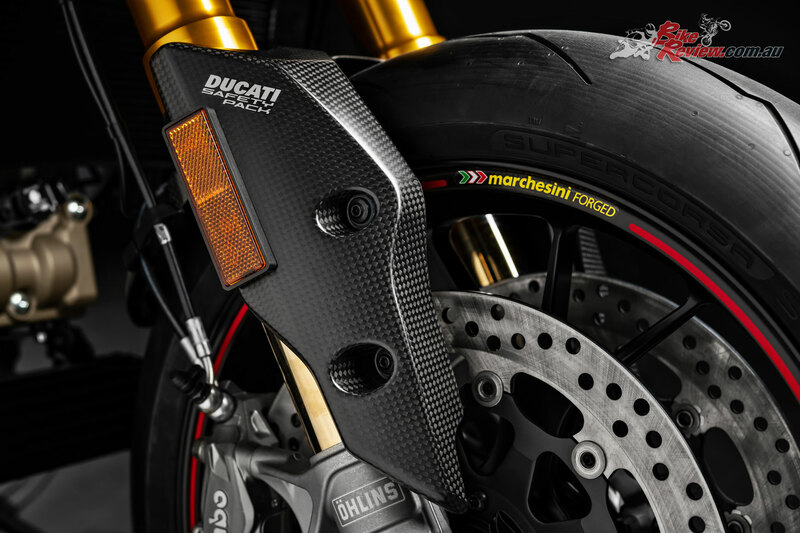 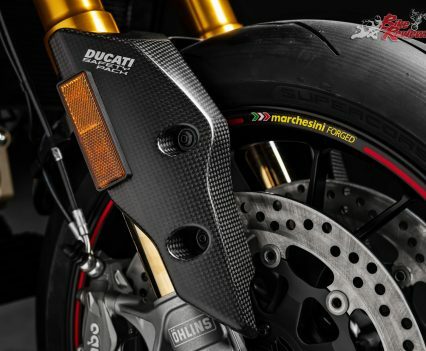 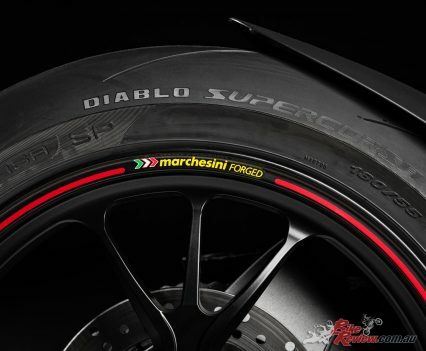 With dedicated graphics giving it an even sportier look, the SP version features a flat seat, increased travel Öhlins suspension (+15 mm at the front and +25 mm at the rear) that increases the lean angle (+3°), Marchesini forged wheels and Ducati Quick Shift (DQS) Up and Down EVO. 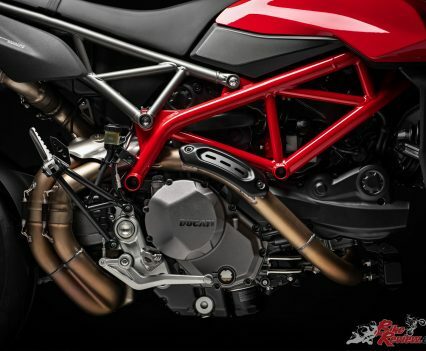 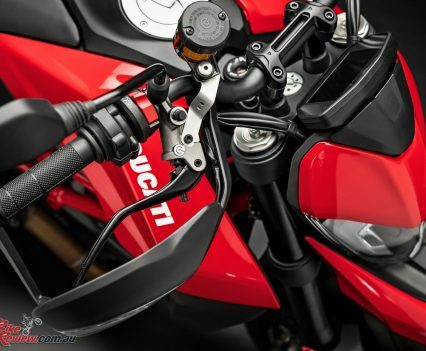 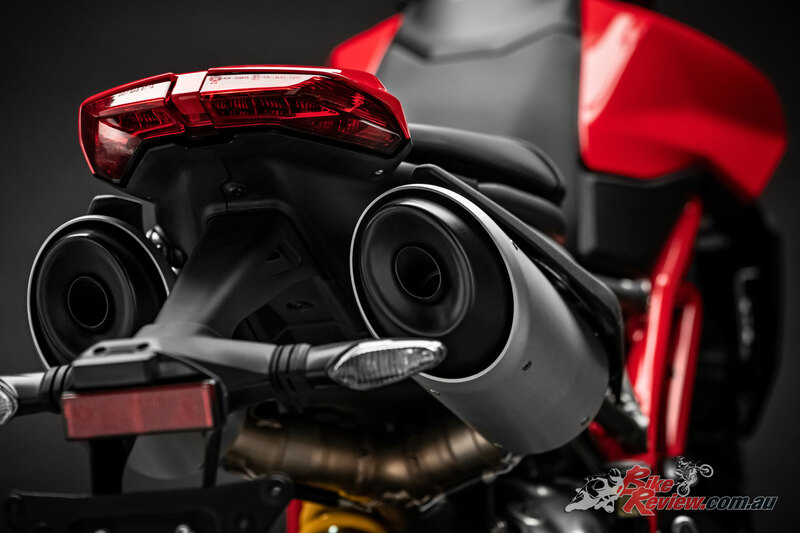 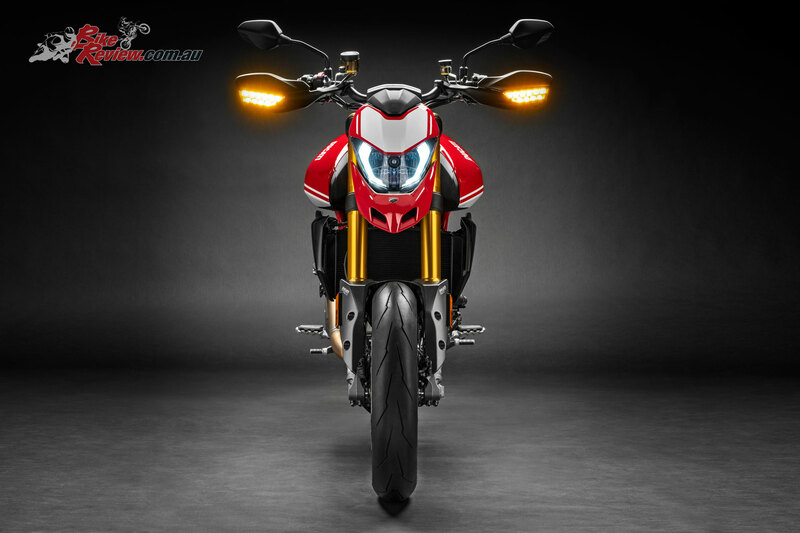 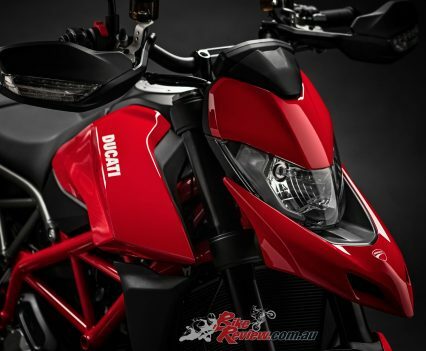 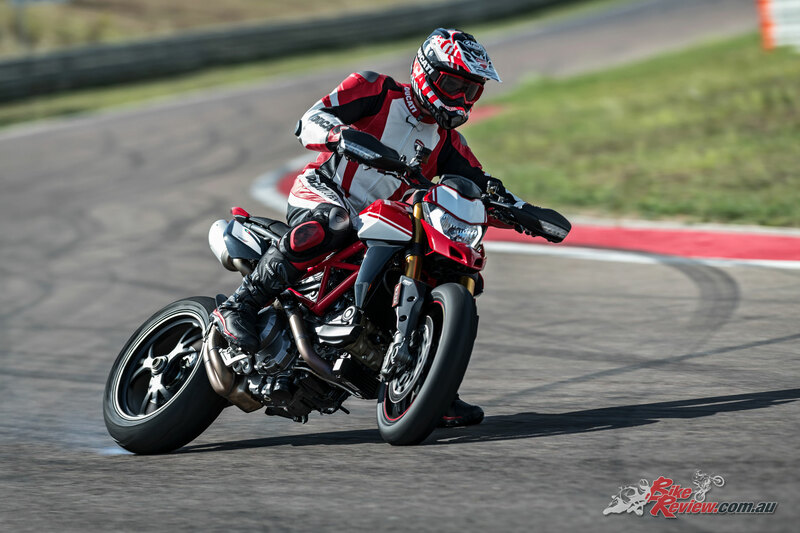 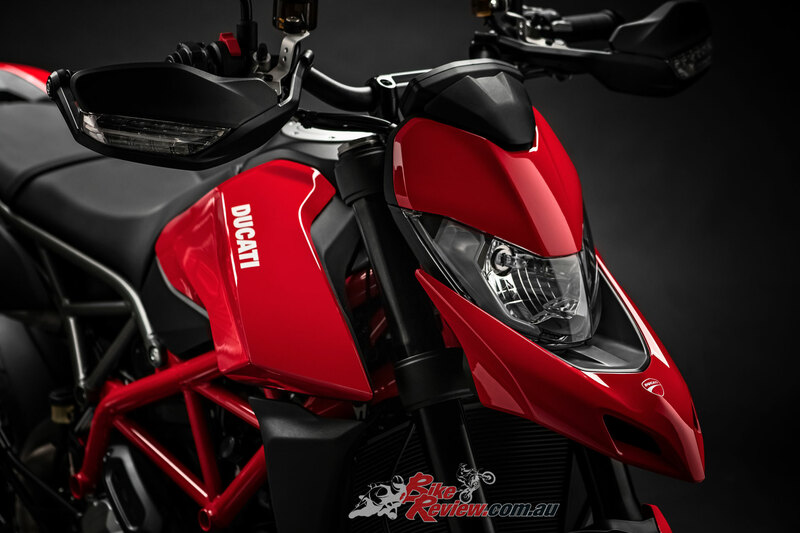 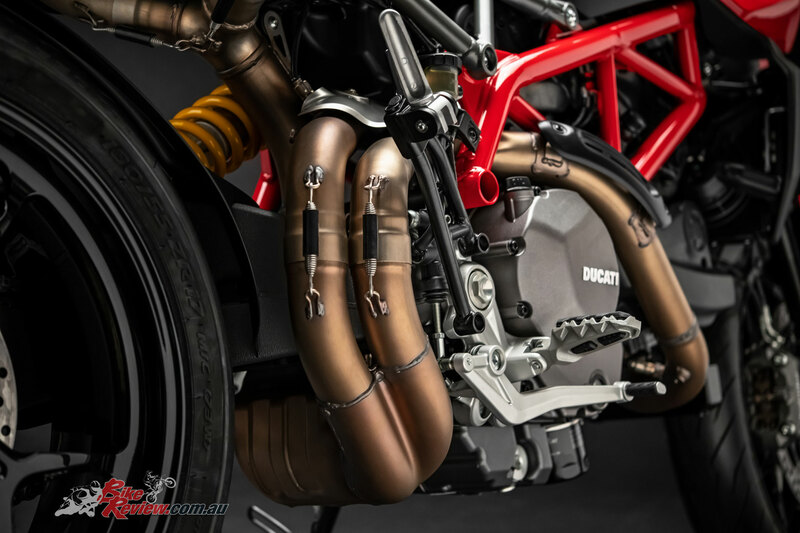 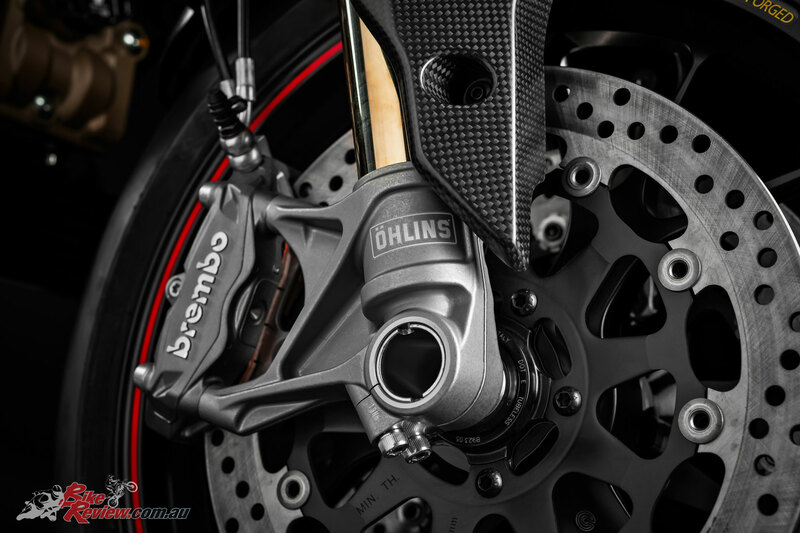 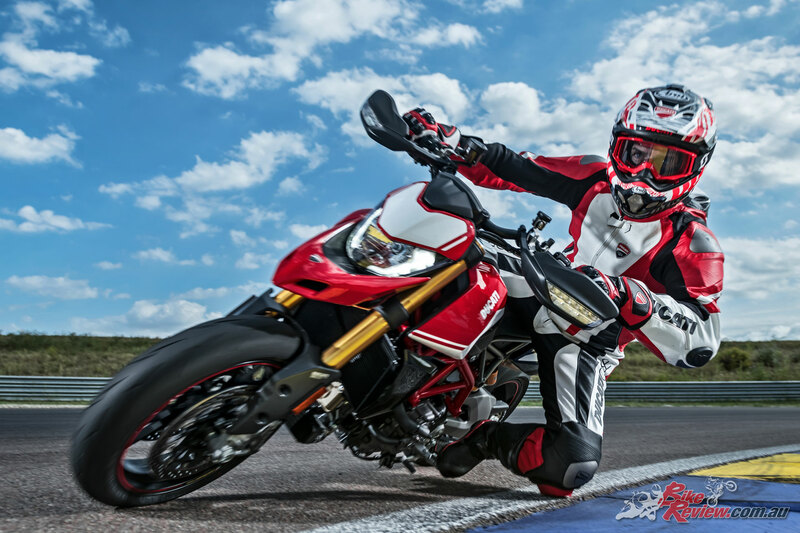 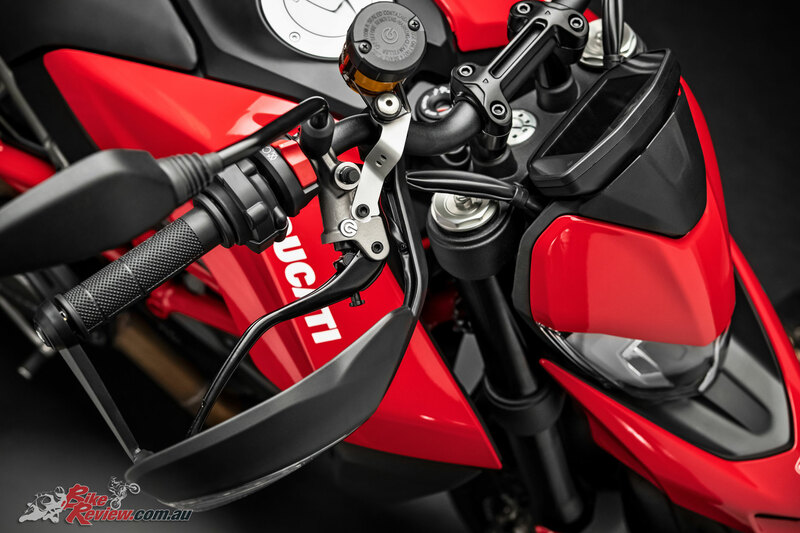 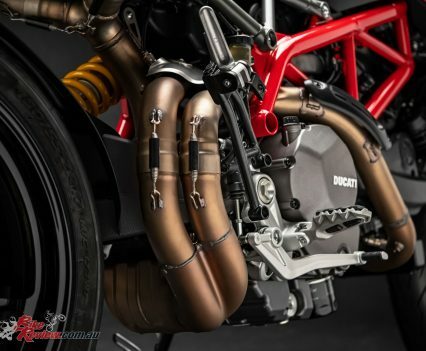 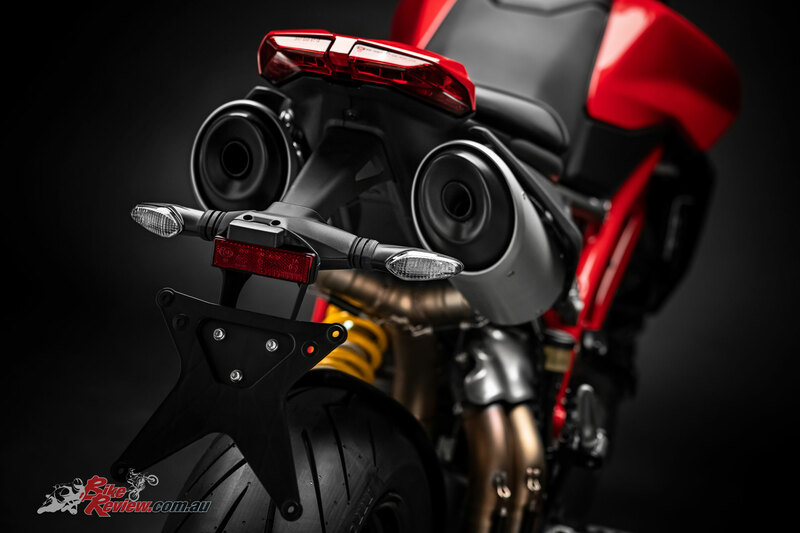 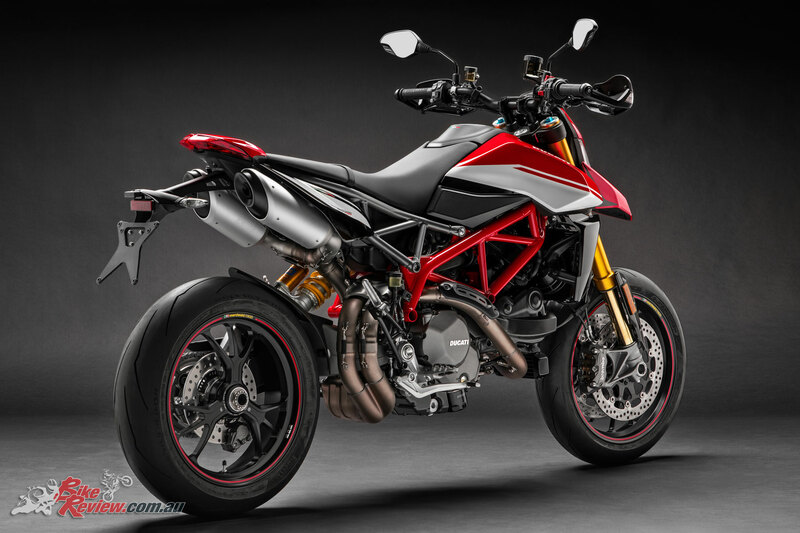 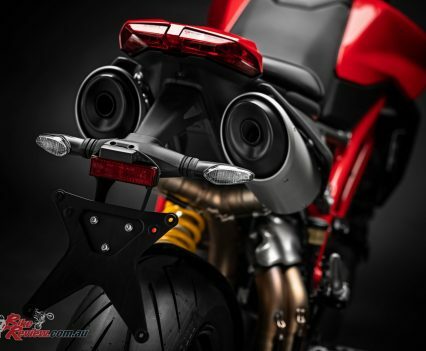 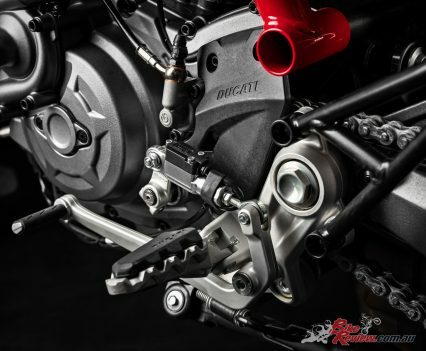 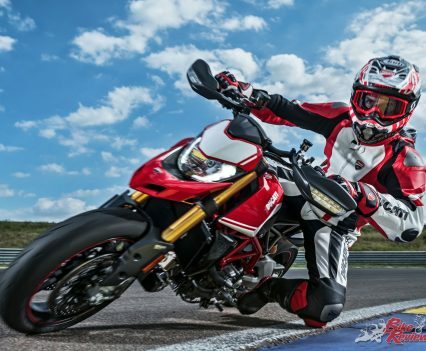 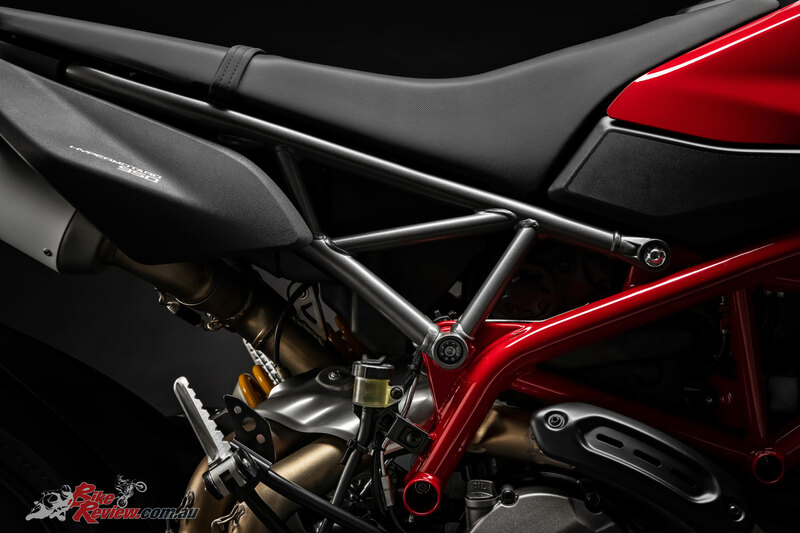 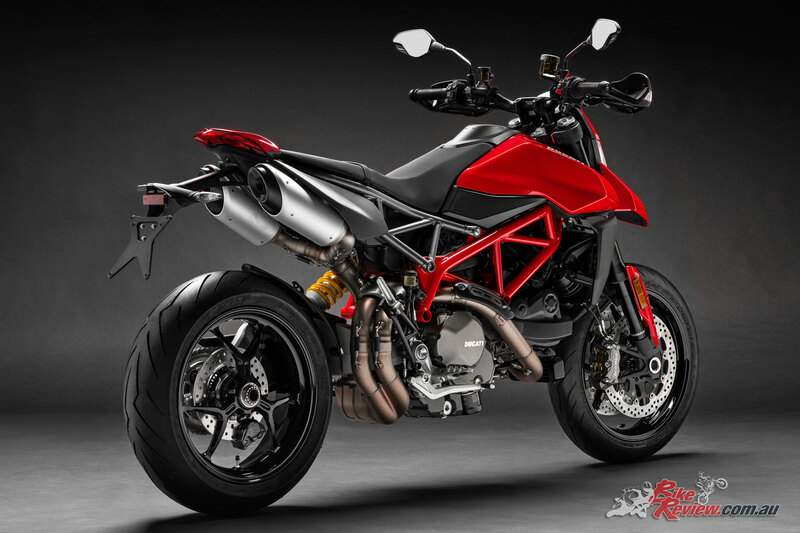 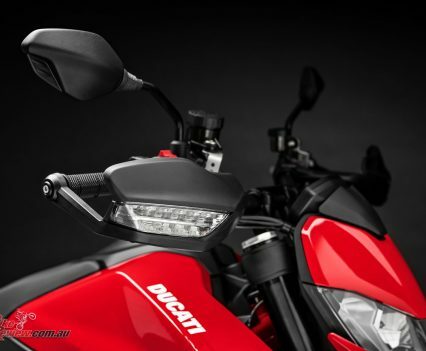 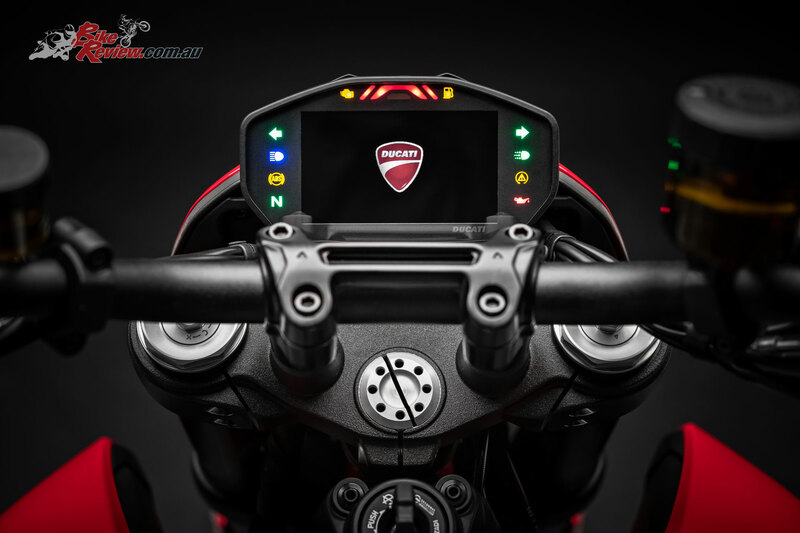 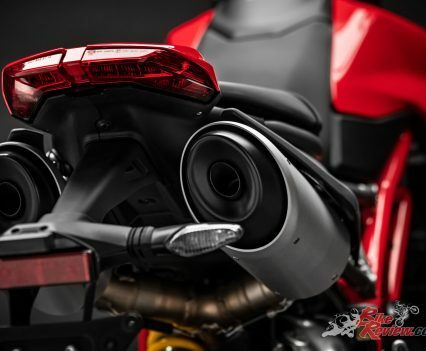 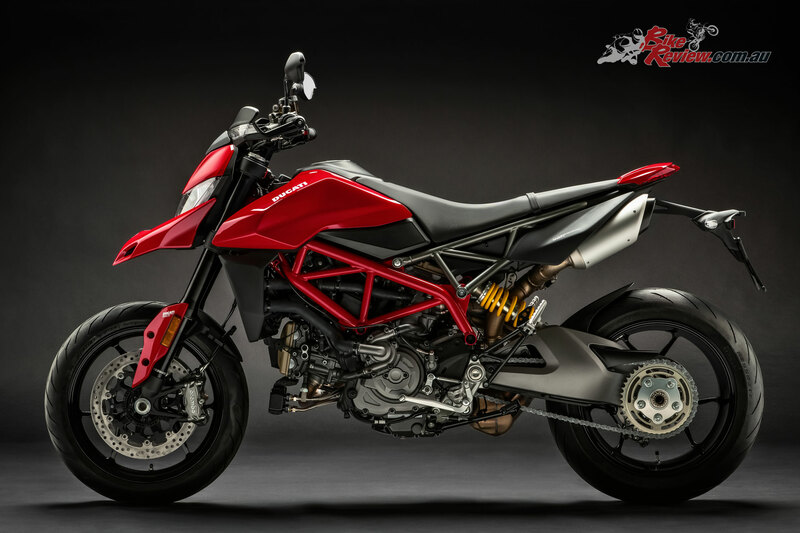 The Hypermotard 950 can also mount the Ducati Multimedia System (DMS). 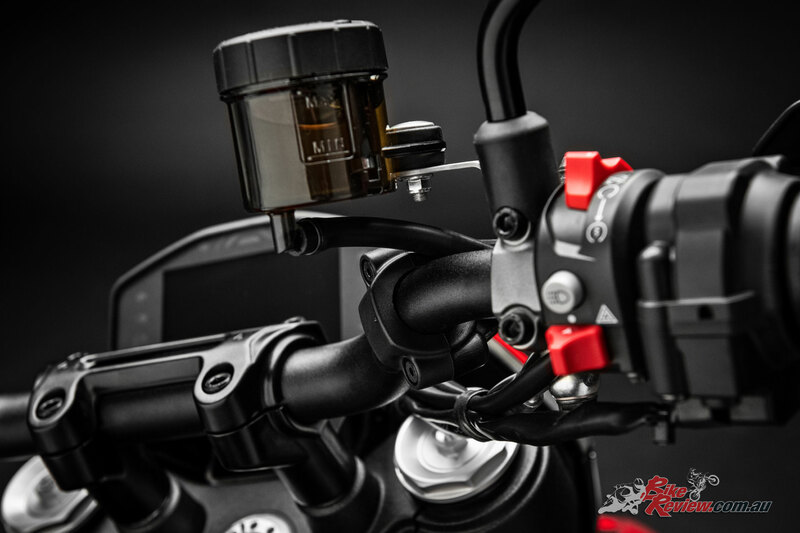 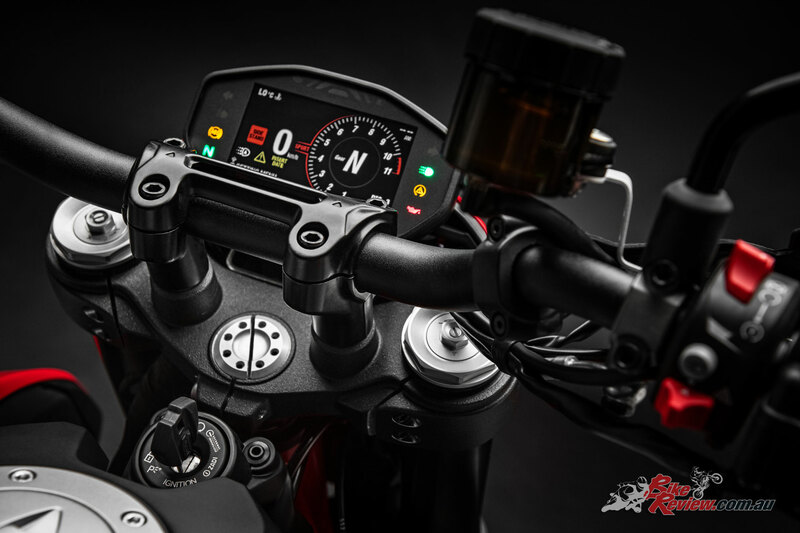 This lets riders connect the bike to a smartphone and manage key multimedia functions (incoming calls, text messaging, music) via switchgears, and display the relative information on the TFT instrument panel. 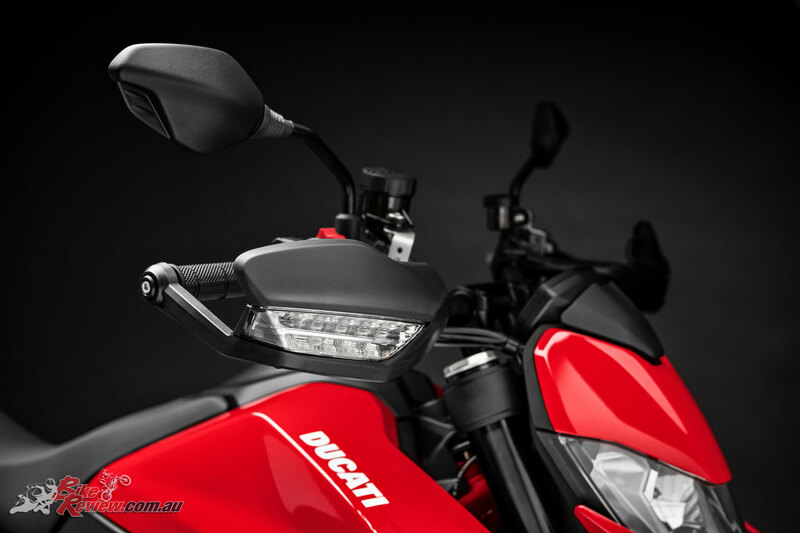 Does it still use the turn signal cancel button for changing riding modes? 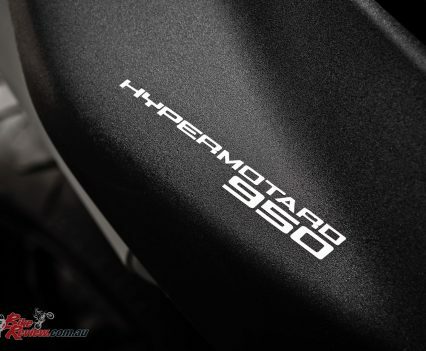 I’m really hoping not. 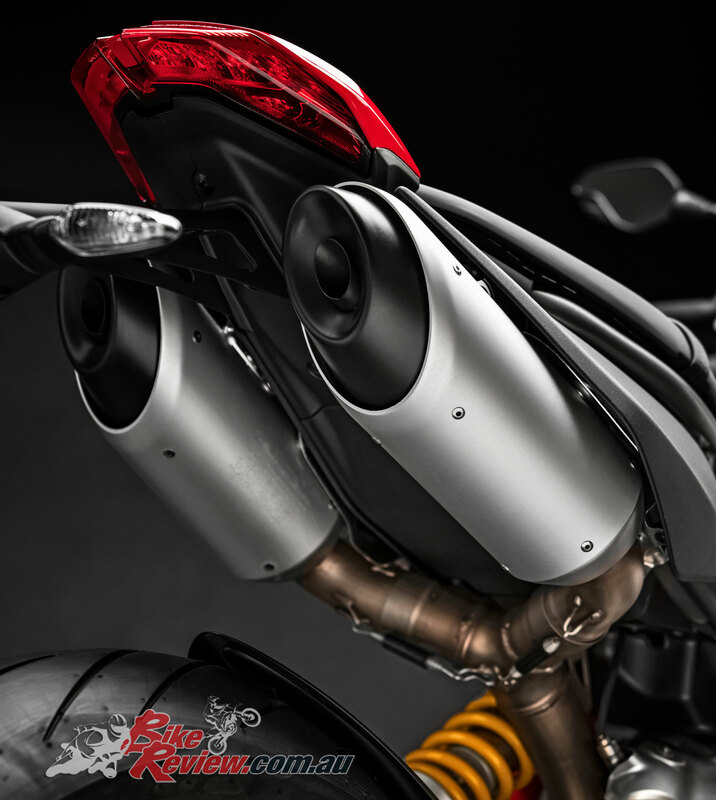 That was a major bummer on the last model. 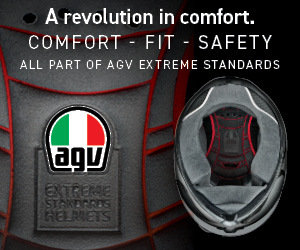 Hey Alex, we’ll have to wait and see, we didn’t see that mentioned in the information provided. 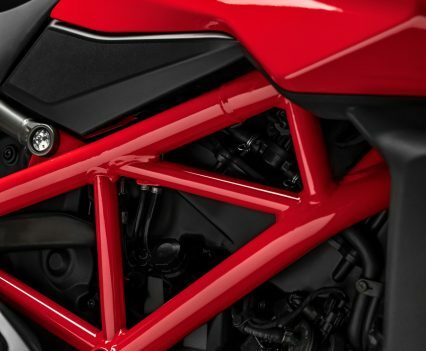 We haven’t seen an official date released yet unfortunately!